The Israeli occupation authority will soon announce a tender to build a huge domed synagogue in the Old City of Jerusalem at a height of about 23 meters and at a cost of about 50 million shekels ($13 million). The building, called “The Jewel of Israel”, will comprise six stories; two of them will be underground. The building's area will be 378 square meters; 275 of which will be used for the synagogue and 103 as a public park that contains shaded lounges to attract Jewish and foreign visitors. The total construction area will be 1,400 square meters. 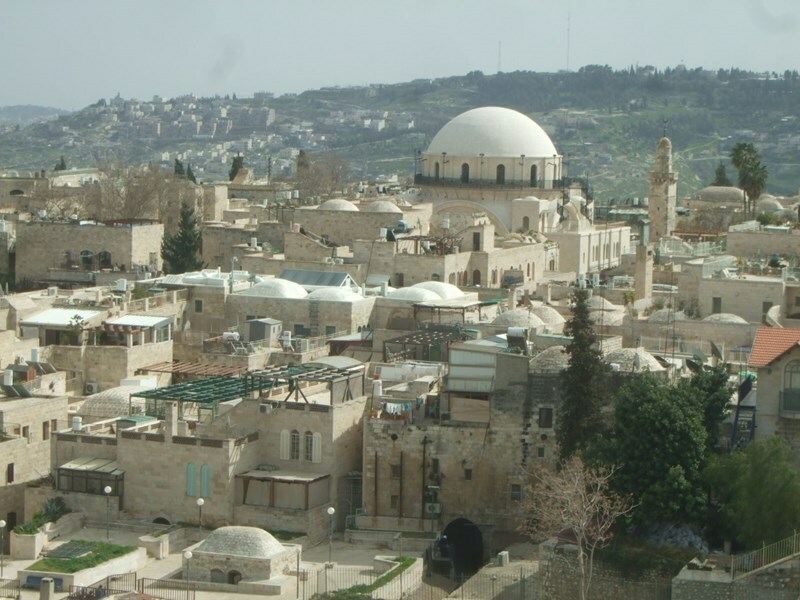 The project, which is openly supported by the Israeli government, is aimed at founding "holy" Jewish sites in Jerusalem in addition to domed buildings which deceptively imply a long-time Jewish presence in Jerusalem. The Jewel of Israel will be the second largest synagogue after Hurva Synagogue. "This is an important and essential step to support the Jewish presence in Jerusalem," Israeli Mayor of Jerusalem Nir Barakat said. Sheikh Kamal al-Khatib, deputy head of the Islamic Movement in the 1948 occupied lands, said that by establishing the so-called Jewel of Israel "Israel is racing against time to Judaize Jerusalem and is benefiting from the inter-Arab conflicts and the Palestinian internal division." He pointed out that Israel is exploiting the Arab world's preoccupation with their internal issues to carry out its Judaization schemes. The Jewel of Israel is nothing but an attempt to wipe out the Islamic landmarks of the holy Aqsa Mosque, he added. Al-Khatib charged that this is a prelude to divide al-Aqsa Mosque and impose Israeli sovereignty over its courtyards. The construction plans, which QPress has obtained, show that the Israeli government intends to build The Jewel of Israel or "Tiferet Yisrael" as soon as possible; the construction plans and the budgets were approved, the foundation stone was laid down, and a tender will be announced soon to start implementing this project which is sponsored by the so-called “Company for the Reconstruction and Development of the Jewish Quarter (CRDJQ)". The first underground floor will be used to display artifacts which Israel claims to be ruins of an ancient Jewish synagogue, bearing in mind that the synagogue will be established on the ruins of an Islamic endowment. The second underground floor will contain male bathrooms and technical support premises. The third floor, which is the ground floor, is the entrance and will contain the female bathrooms. 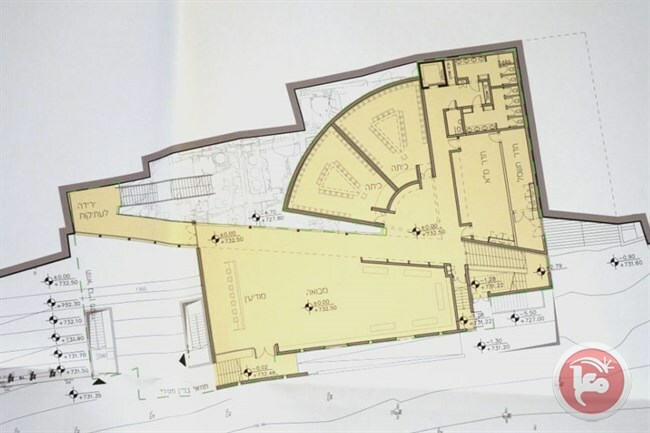 As for the fourth floor (the second floor above the ground), it will be used as the large hall of the synagogue and it will contain chairs and rooms for performing the Jewish prayers. The fifth floor (the third above the ground) will be a synagogue for women and the sixth floor will be overlooking the old buildings of Jerusalem. The building will be topped with a high dome that resembles the Dome of the Rock. Some chambers in the building will be dedicated for promoting Jewish heritage in Jerusalem, according to the Jewish claims. The building will be established in al-Sharaf neighborhood which was occupied in 1967 and turned into a settlement outpost under the name of the “Jewish neighborhood". The building will be only few meters away from al-Aqsa Mosque and the Buraq Square. The Israeli authorities are planning to build a multi-story building inside the Western Wall plaza in the Old City of occupied East Jerusalem, a Palestinian academic told Ma'an on Wednesday. 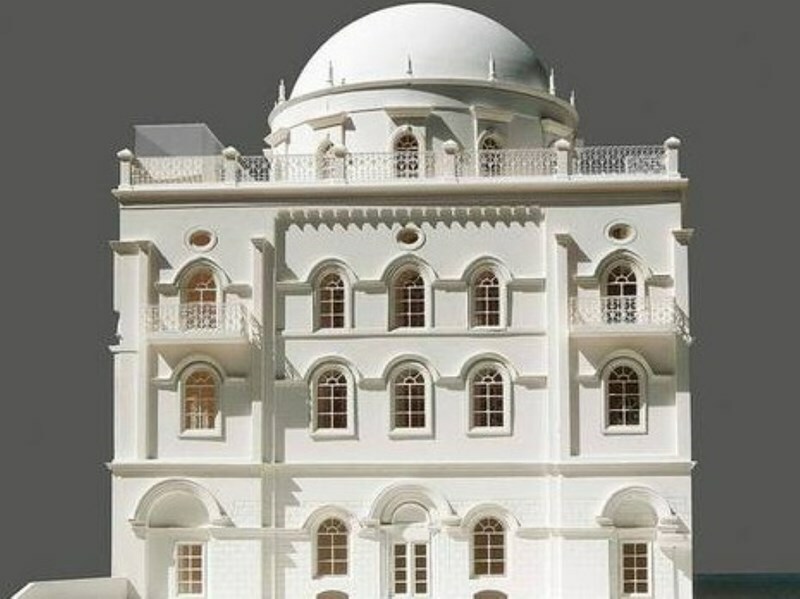 Dr. Jamal Amr, a professor of urban planning at Birzeit University and Jerusalem Foundation member, said that the six-story building would celebrate the heritage of the Jewish Temples, and would comprise a museum, prayer halls, and offices for right-wing Jewish organizations. The organizations are funding the project together with the Israeli government, Amr said, although his claims could not be verified.Amr said that the blueprints for the building were prepared in secret and revealed only after those leading the project began the application process for the needed license. The building is expected to cost $13 million, at a size of 1,400 square meters and a height of 23 meters high, with two of the six floors underground, he said. The complex will include a museum "housing antiquities and belongings stolen from Jerusalem," Amr said, many of which he claimed date to the Abbasid and Umayyad eras, from roughly 660 to 1260 CE. The complex will also be connected to the series of underground tunnels which run beneath the Old City and to the East Jerusalem neighborhood of Silwan. In the past, excavations inside the tunnels have damaged Islamic antiquities and even collapsed, threatening Palestinian buildings above. Amr warned that the new project would further "efface" Arab and Islamic features inside the Old City. The Western Wall is the last remnant of the Second Temple, which was destroyed by the Romans in 70 AD. It borders the Al-Aqsa Mosque compound, which is the third holiest site in Islam, and has historically been a flash point in the Palestinian-Israeli conflict. Palestinian researcher in settlement affairs, Ahmad Sob Laban, has reported that the Israeli colonization organization “Ateret Cohanim”, based in the Muslim Quarter in occupied Jerusalem, has presented a construction plan to the Jerusalem City Council, in preparation to build a new illegal colony near Bet Yonatan colony, in Silwan town, in occupied East Jerusalem. Sob Laban said the new plan aims to construct three outposts, each composed of four floors, in addition to expanding the road between Bet Yonatan (illegally installed on Palestinian property in 2004) and the new outpost, which would also be built on illegally-seized Palestinian property adjacent to Bet Yonatan. 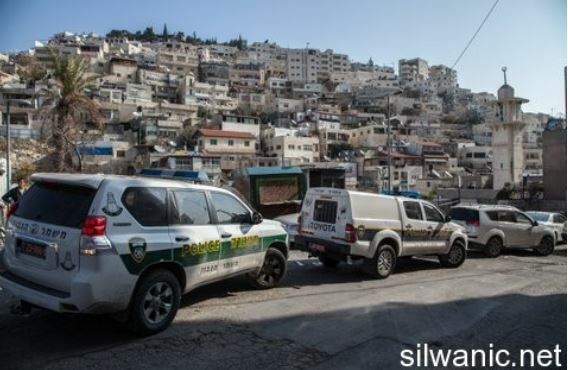 He added that Silwan, especially Batn al-Hawa neighborhood, is facing serious threats from Ateret Cohanim, an organization that is responsible for the construction of 71 illegal outposts in the Old City, in both the Muslim and Christian Quarters, since 1967. The official also said that Batn al-Hawa became a target for colonization in 2004, when Bet Yonatan was illegally established in a building consisting of six floors through forged sale documents, while at the same time the organization established another outpost, known as Beit al-'Asal, in the heart of the neighborhood. Last year, Ateret Cohanim managed to control two residential buildings, each composed of ten apartments, and a plot of land in Batn al-Hawa, after Israel removed the owners, the Abu Nab Family, and Palestinian renters of the apartments, allegedly because "the land it was built on used to contain a synagogue, and was inhabited by Jews, before 1948." Sob Laban said Ateret Cohanim enjoys the full support of the settler-led government of Benjamin Netanyahu, and various wealthy Zionist organizations and individuals, especially in the United States. He added that Ateret Cohanim is still trying to evict dozens of families by taking control of more than 100 properties inhabited by nearly 1300 Palestinians, and that nine families have already received eviction notices. Israel's colonization activities in occupied Jerusalem, and the rest of occupied Palestine, come in direct violation of International Law, and the Fourth Geneva Convention, to which Israel is a signatory. The Israeli occupation is putting the final touches on a comprehensive scheme to complete the Judaization of al-Sharaf neighborhood, to the west of al-Aqsa Mosque. 150 million shekels (about 40 million dollars) were allocated to carry out concurrent Judaization projects in this neighborhood; these projects are sponsored by the so-called "The Company for the Reconstruction and Development of the Jewish Quarter (CRDJQ)". The Israeli infrastructure minister Yoav Galant and the Minister of Jerusalem Affairs Ze’ev Elkin support this malevolent scheme and give it utmost importance, according to Israeli media sources. According to the scheme, which was reviewed by QPress, an underground parking lot that can accommodate about 600 cars will be established after carrying out diggings in the southeastern side of the 200-acre neighborhood, and an underground tunnel that runs through the historical wall of Jerusalem will be excavated in order to reach the parking lot. 25 million shekels were allocated for building commercial shops and enhancing the infrastructure of the middle area of the neighborhood and a building permit will be issued soon to implement a project for constructing two elevators that connect al-Sharaf neighborhood with al-Magharba neighborhood and the Wailing Wall area (the Israeli reference to al-Buraq Wall); so as to intensify the Jewish presence, encourage the foreign tourism, and facilitate access to al-Buraq Wall area which will cost about 26 million shekels. A tender will be announced within the coming weeks to build a huge synagogue called the Jewel of Israel in the same neighborhood at a cost of about 45 million shekels. The CRDJQ is planning to transfer the ownership of scores of Jerusalemite properties and turn them into Jewish properties that are officially registered in the Israel Land Registry (Tabu). Al-Sharaf neighborhood, which is inhabited by about 6000 Jewish settlers, was occupied by Israel in 1967 and was turned into a settlement neighborhood under the name of "the Jewish neighborhood". Israeli municipality in Jerusalem opened a café over Mamilla Muslim historical cemetery in Occupied Jerusalem after a delay that lasted for a few weeks. A delegation of al-Aqsa Foundation for endowment and Heritage who visited the cemetery on Sunday revealed that the café fits for over one hundred persons and sells food and drinks including wines during day and night and it officially started its work on Sunday. Nir Barakat, Mayor of Jerusalem, opined that establishing the café over the Muslim Mamilla cemetery is one of the most important achievements of the municipality in recent years. 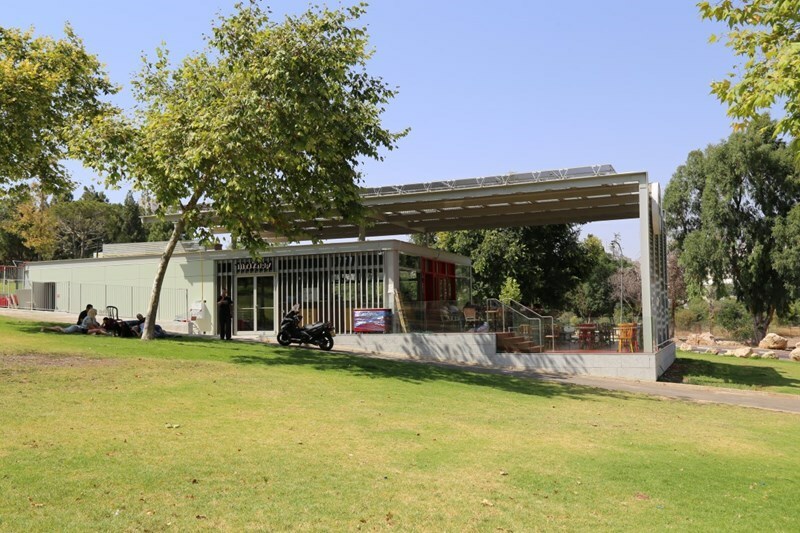 The café is built over the lands of the cemetery in the part which was transformed into a park given the name “Independence Park” within the policy of Judaization of the cemetery. The Aqsa Foundation strongly condemned the news, perceiving it as a violation against the sanctity of the Muslim cemetery. It disclosed that the area of the cemetery exceeds two hundred dunums and that it is a historic cemetery that dates back to more than 1400 years. It also revealed that a number of the companions of Prophet Mohammad (peace be upon him) were buried in Mamilla cemetery. The historical cemetery has been subjected to Israeli violations as large parts of its area were used for the establishment of hotels and public parks. The Foundation also revealed that opening the café is a new offensive action following the establishment of what is called “Forgiveness Museum” over Muslims' tombs. An area of 20 dunums has only remained as a Muslim cemetery. However, it is also being violated by Israeli daily offensive practices. Donald Blome, the new American Consul General to Jerusalem, meet on Thursday the Palestinian President Mahmoud Abbas at the presidential compound in Ramallah. During the meeting, President Abbas and Mr. Blome discussed the recent development of the peace process and the new Israeli plans to construct more units in illegal settlement all over the west Bank. Moreover, the two talked about the financial crises that the United Nations works and Relief Agency for Palestinian refugees are facing. “I assured the President of America’s commitment to the Palestinian Authority and to two-states for two peoples. 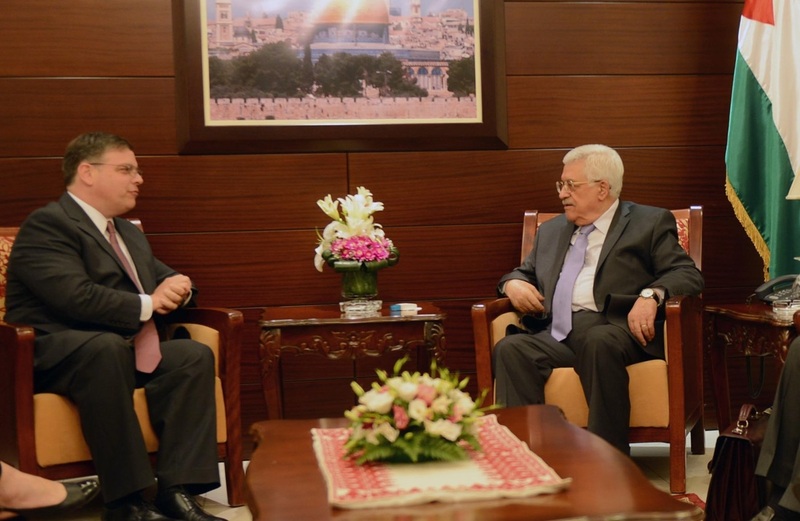 I also noted the importance of further enhancing our relationship with the Palestinian people.” Blome told president Abbas during the meeting. Donald Blome, a career Foreign Service officer, assumed the position of American Consul General in Jerusalem July 27, 2015. Prior to that, he worked as Director of the State Department’s Office of Arabian Peninsula Affairs from 2013-2015. He has served in a variety of posts in the Near East and South Asia, including as Political Counselor at U.S. Embassy Kabul from 2012-2013. Originally from Chicago, he holds a B.A. from the University of Michigan, and a J.D. from the University of Michigan Law School. In victory to settlers, prime minister okays building of homes promised after the evacuation of Givat Ulpana in 2012; Sa-Nur squatters agree to leave, if commission is formed to examine return to settlement. Prime Minister Benjamin Netanyahu green lighted on Wednesday the construction of 300 housing units in Beit El, mere hours after destruction began of the Draynoff buildings that have been at the center of a dispute between settlers and the Israeli government and High Court of Justice. Hundreds of settlers gathered on Monday night outside the two buildings, which the High Court of Justice ruled were illegally built on private Palestinian land, and remained there throughout Tuesday and into Wednesday morning. The protesters, egged on by settler leaders and right-wing politicians, clashed with Border Police and Police forces sent to scene to prevent them from entering the two buildings. On Wednesday morning, the demolition of the two buildings began following a ruling by the High Court of Justice. The housing units that were approved on Wednesday were promised by the Israeli government three years ago following the evacuation of the Givat Ulpana neighborhood in the settlement. In June 2012, settler leaders agreed to evacuate five buildings in the neighborhood - also built on private Palestinian land - in exchange for 300 new housing units to be built in another part of the settlement. Since then, the construction of these housing units has been stuck, awaiting the approval of the political echelons. The prime minister also approved hundreds of housing units in Jerusalem neighborhoods beyond the Green Line, including the construction and marketing of 91 housing units and the planning of 24 homes in Pisgat Ze'ev, as well as the planning of 300 housing units in Ramot, 70 in Gilo and 19 in Har Homa. The 91 homes in Pisgat Ze'ev are also part of a past decision that was awaiting a green light from the political echelons. Education Minister Naftali Bennett (Bayit Yehudi) called the decision "a worthy, right, Zionist response," asserting that "the High Court's job is to judge, the government's job is to build." Earlier, ministers from the hard-line Bayit Yehudi party protested the destruction of the Draynoff buildings, with Agriculture Minister Uri Ariel saying, "I turned to the prime minister and firmly demanded that he immediately approve the construction of the 300 housing units that were being delayed. I informed the prime minister I expected to receive a positive answer within an hour." Bennett himself has also demanded Netanyahu follow through on his promise to build the 300 housing units in Beit El. Justice Minister Ayelet Shaked, also of Bayit Yehudi, said following the court's decision to demolish the homes that "We are living under the rule of law, and we must accept the ruling of the High Court and with that harsh verdict. The homes in Beit El will be destroyed, and immediately rebuilt after. This is the Jewish way. We don't lose hope." The Palestinian Authority condemned the decision to build the 300 homes in Beit El. A spokesman for President Mahmoud Abbas, Nabil Abu Rudeineh, said that Israel's settlement policy is "destructive to all the efforts being put forward since September by the United States and the European Union in an attempt to find an way out of the current crisis." Abu Rudeineh called on the international community to immediately intervene in order to stop "this dangerous Israeli policy that would result in a further deterioration of the situation, which conveys an Israeli message to the international community that Israel is not interested in peace or any efforts aimed at creating the appropriate environment conducive to peace." Netanyahu's decision to give the go-ahead for the 300 new units in Beit El followed a tensed day in the settlement. More violence erupted in wake of the court's decision as tractors arrived in Beit El to tear down the Draynoff buildings. Rioters lit fires, pelted security forces with stones and hurled tables and chairs at the Border Police troops who were standing between them and the buildings. Police used crowd dispersal measures, including water cannons. Ten of the rioters were arrested, and at least six were lightly hurt. Not far from the rioting in Beit El, settler families who have been squatting in the ruins of the settlement of Sa-Nur, which was evacuated as part of the disengagement in 2005, agreed on Wednesday afternoon to willingly evacuate on the condition a state-appointed inquiry commission examines the possibility of re-establishing the settlement. The squatters in Sa-Nur, who entered the evacuated settlement on Monday night, ignored an ultimatum set for them on Tuesday to leave the area by 2pm. In an effort to avoid a repeat of the forced evacuation of 2005, the settlers decided to send a letter to Prime Minister Netanyahu, in which they pleaded with him: "Please spare us, our children, and the entire people of Israel, the unnecessary sights of destruction and eviction." The settlers were also concerned with the fact security forces closed off all access to the area, raising the fear they would have to stay in the settlement for days without food or water in the rising summer temperatures. "A decade ago we were banished from Sa-Nur and the settlements of the northern Samaria, and with God's will we returned home two days ago," the settlers wrote. "Our stay here over the past two days proves that it is possible (to return)." They demanded the prime minister form an impartial commission which will examine the security and legal aspects of re-populating the evacuated settlements in the northern Samaria. "We are certain that any objective commission will determine that there was no reason that after a decade we cannot return home," they wrote. 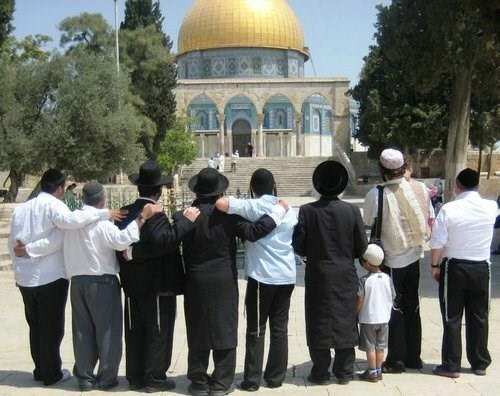 The Joint List of Arab parties at the Knesset has warned that the Israeli government's intents to divide the Aqsa Mosque spatially and temporally between the Muslims and Jews would lead to a religious conflict and a bloody war in the region. This came in press remarks made by Knesset member Ayman Odeh who visited along with other Arab members on Tuesday the Aqsa Mosque compound in occupied Jerusalem. Odeh affirmed that the attempts by the Israeli government to turn the political issue in Jerusalem into a religious conflict over the Aqsa Mosque between Muslims and Jews would escalate the tension in the city and lead to further fighting in the region. "The Aqsa Mosque with all its courtyards and premises inside al-Haram al-Sharif of Jerusalem is a sacred place for the Muslims and a pivotal site for the Palestinian people, and it has to be preserved and protected," he emphasized. The MK deplored the recent "provocative" visit of agriculture minister Uri Ariel to the Aqsa Mosque and the protection provided by the Israeli police for such visits by Jewish settlers and officials. 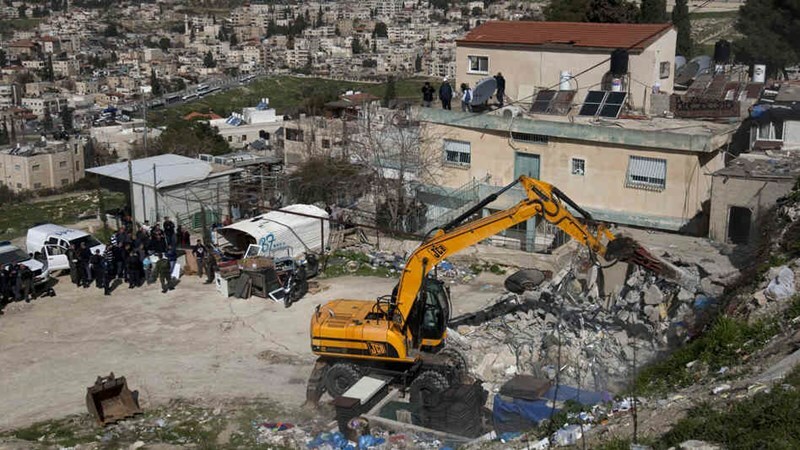 An official source in the PA presidency revealed that nearly 20,000 homes are threatened with demolition in occupied Jerusalem under the pretext of being built without permits. Lawyer and Jerusalem Affairs Adviser for the Palestinian Presidency, Ahmed Rwaidy, affirmed that the Israeli occupation authorities plan to demolish dozens of homes in Jerusalem for allegedly being built without permit. Israeli demolition policy mainly aims at changing the geographic and demographic realities in occupied Jerusalem, he said. Israel works at decreasing the Palestinian population in occupied Jerusalem to approximately 15% of the total population of the city, the PA official continued. Earlier Tuesday, Israeli occupation municipality demolished a Jerusalemite apartment, two rooms, and four stores in Silwan town to the south of al-Aqsa Mosque. Along the same line, OCHA revealed in an earlier report that Israeli authorities destroyed 39 homes in occupied Jerusalem since the beginning of 2015. In the same context, B’Tselem revealed that since the annexation of East Jerusalem in 1967, Israeli authorities have promoted the two-fold goal of expanding the city’s Jewish population and reducing its Palestinian population. Various steps have been adopted to achieve this objective, including the isolation of East Jerusalem from the rest of the West Bank, land appropriation, and discriminatory policies on planning and construction and budget allotment. 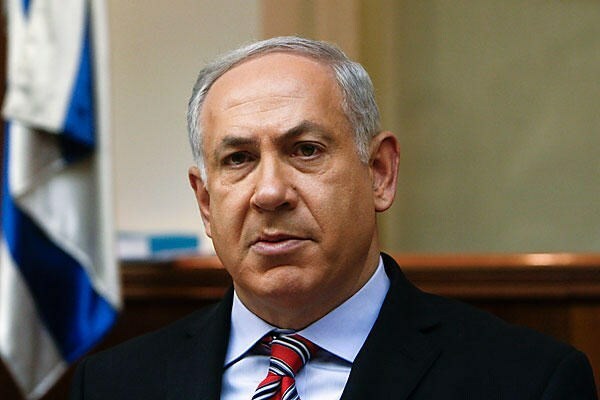 During his one-day visit to Cyprus, Israeli Prime Minister Benyamin Netanyahu said Tuesday that he will touch on his government’s position over peace talks with Palestinians in his expected speech in Brussels. Israeli radio pointed out that Netanyahu accepted Cyprus initiative that includes an invitation to both Palestinian president Mahmoud Abbas and Netanyahu to separately address EU leaders at a future summit in Brussels. Netanyahu said after talks with Cypriot President Nicos Anastasiades Tuesday afternoon that he will deliver Israel’s position over peace talks, claiming that his government is interested in peace. Achieving peace is mainly based on the desire of all parties to get involved in negotiation, he added. 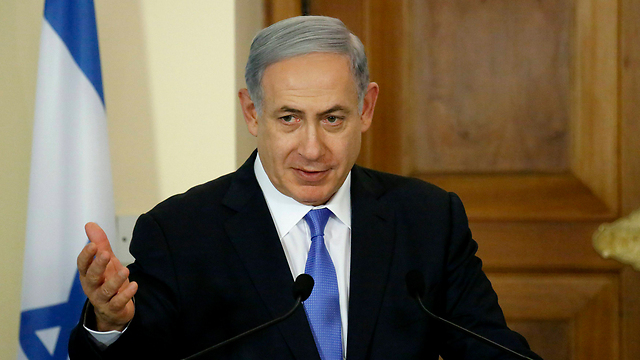 Announcing the visit last week, Netanyahu issued a statement saying Israel and Cyprus would strengthen ties in the fields of security, economy and energy. British Minister for the Middle East Tobias Ellwood expressed Tuesday deep concern about Israeli plans to expand "illegal settlements", and called on the Israeli government to refrain from such steps. The UK is deeply concerned by reports that planning for 1,065 settlement units is being advanced, including possible retrospective approval of buildings built without permits or on private Palestinian land, the statement said. "The UK’s position on Israeli settlements is clear: they are illegal under international law and undermine the prospects for a two-state solution." The British Official called on the Israeli government to discard these plans and refrain from such steps, considering "every settlement announcement has a negative impact on prospects for peace and a negotiated solution." 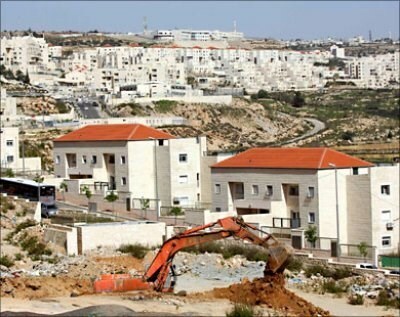 Hebrew media reports earlier revealed an Israeli plan to build 1,065 settlement units in the West Bank and Jerusalem.